Show your Pride in America & your family with our American Flag Personalized Wood Picture Frames. 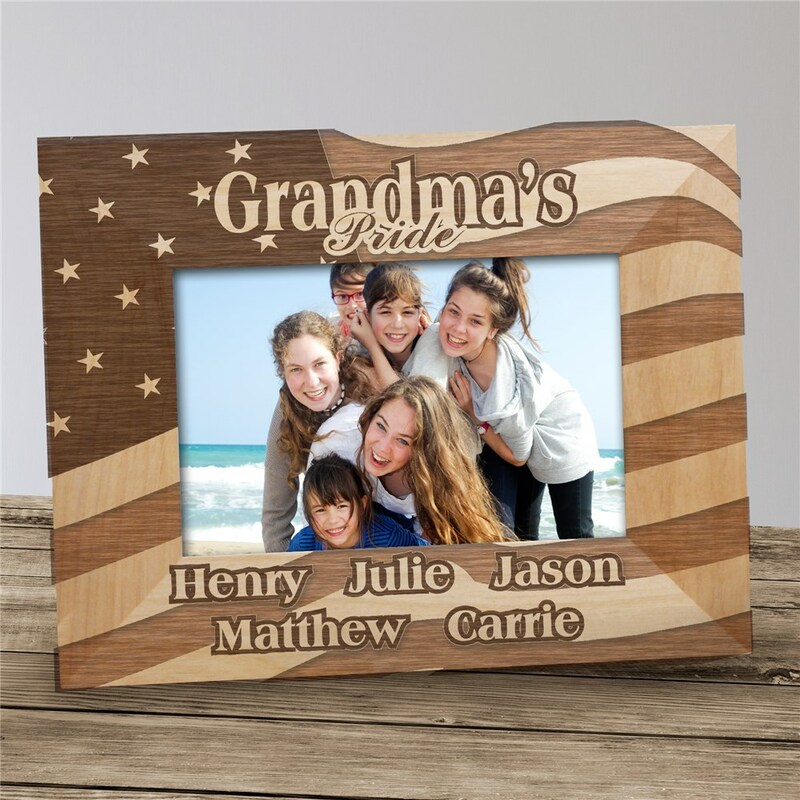 These personalized wooden picture frames make a great personalized gift for any special occasion, 4th of July picnic or Soldier homecoming photo. Each Personalized Patriotic Picture Frame comes in three sizes, please choose from, 4”x6”, 5”x7”, and 8”x10”. Easel back allows for desk display or can be wall hung. Includes FREE Personalization! 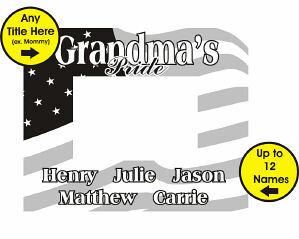 Personalized your American Flag Picture Frame with any title and up to 12 names.